Buddha Path practice convenes every Monday evening. Rodney teaches on “Practicing the Ten Virtuous Actions.” Please join us for an evening of Buddha’s teachings and sangha practice. Practice compassion. Bring a friend. Everyone is welcome. We have added several new events to our weekly schedule. Everyone is welcome to any and all nights. Please join us! Tuesdays 7:30p-8:30p: Weekly Meditation Gathering. Once a week, Carrie provides instructions on Bishkepyapasha Breathing Shamatha meditation according to The Buddha Path. 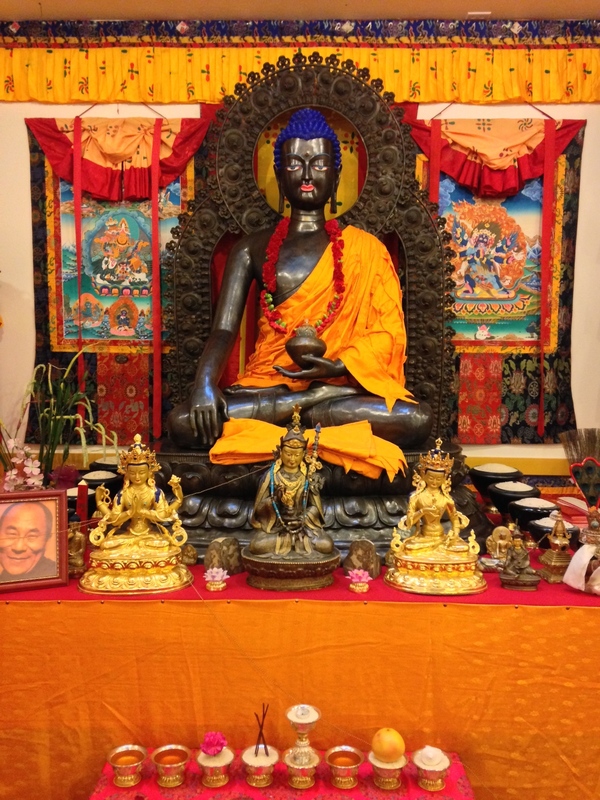 Thursdays 7:30p-830p: Training in the Mahayana Bodhicitta Lineage. Andrew leads us in Bodhicitta Practice according to The Buddha Path, culminating in tonglen, which is a love and compassion meditation. This entry was posted in Uncategorized by Andrew Morse. Bookmark the permalink.